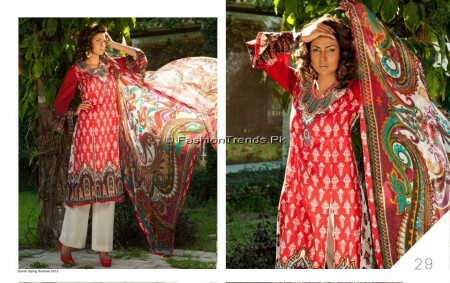 The new and trendy five star women lawn collection has been showcased in the market. The dresses placed in this collection are found with embroidery design printed around the neck or on the border of the dresses. 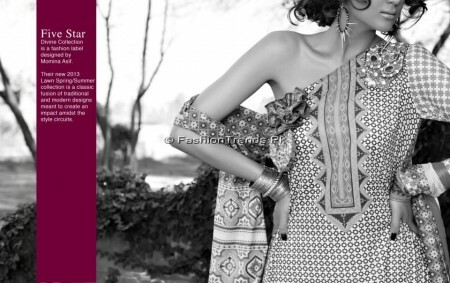 The shirts are found in traditional designs as the dresses are found in three pieces like shirts, shalwars and dupattas. The colour combination is fantastic and they are cool and refreshing. The fabric quality is good and makes the dresses quite tender and smooth. The lawn suits are great for semi formal and casual wears. The images of the dresses will show you the quality of the fabric used in these dresses. The dresses are available on all leading stores of the city.